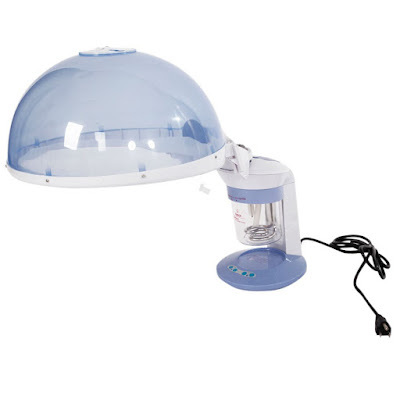 It is time to upgrade your deep conditioning, by investing in a hair steamer! Hair steamers hydrate your hair 5 times better, than deep conditioning with a hooded or bonnet dryer. The moist steam infuses each of your hair strands with moisture. The steam enhances the benefits of your deep conditioner. You can enjoy the amazing benefits of steam conditioning, once a week. You can steam treat your hair for 15 minutes, one day a week. At one time, at home, hair steamers were expensive. But thanks to Amazon, that is no longer the case. I found you one for $46.99! YES THAT IS RIGHT! What a deal!!! Never blow dry your hair! Getting rid of crunchy, dry hair!